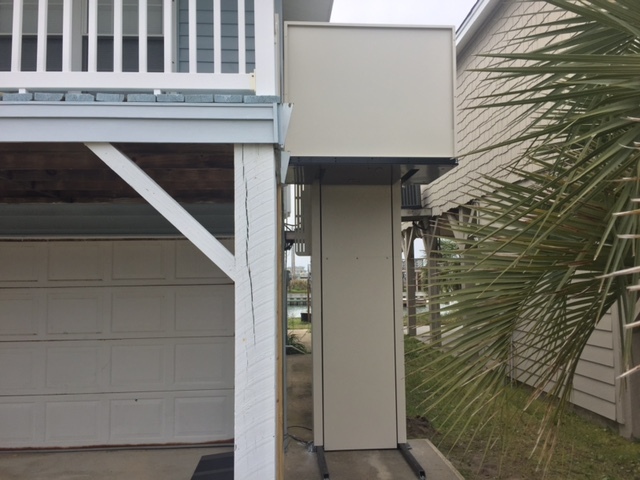 The Gibons of Ocean Isle had a VPL installed. 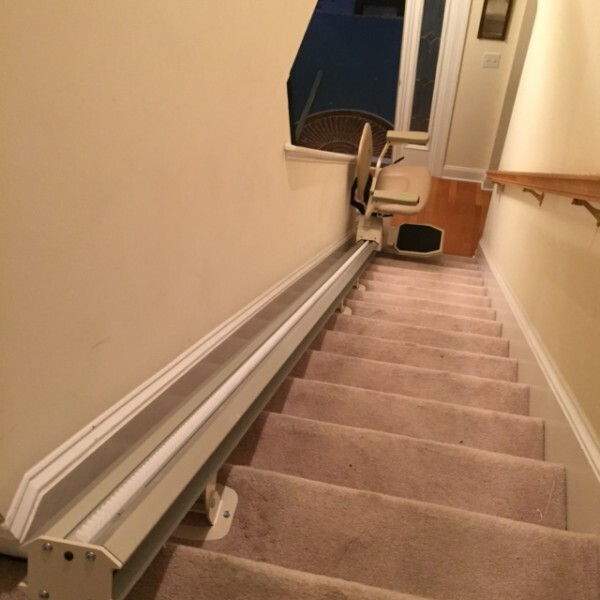 The Weinachts needed a VPL. 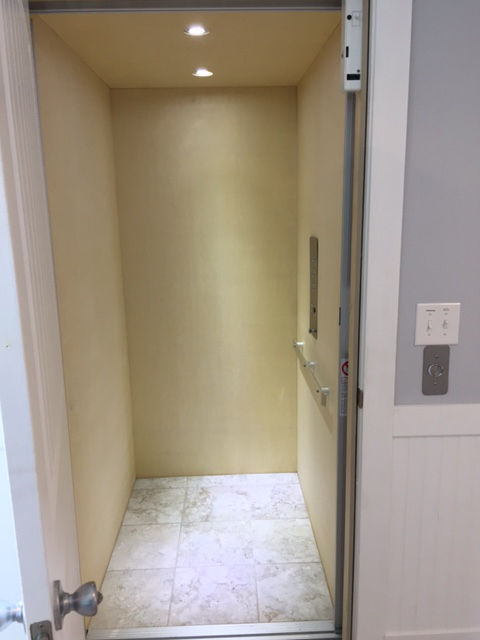 We installed an elevator for the Moldins of Oak Island. 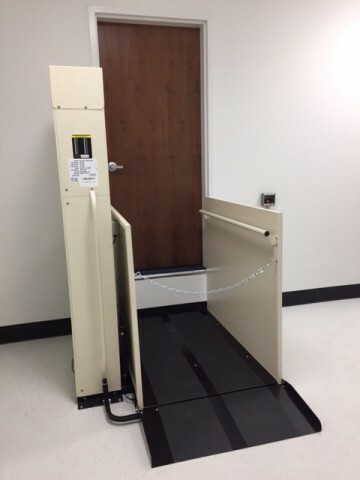 This VPL will help the Geers of Fairmont, NC get on their porch safely. 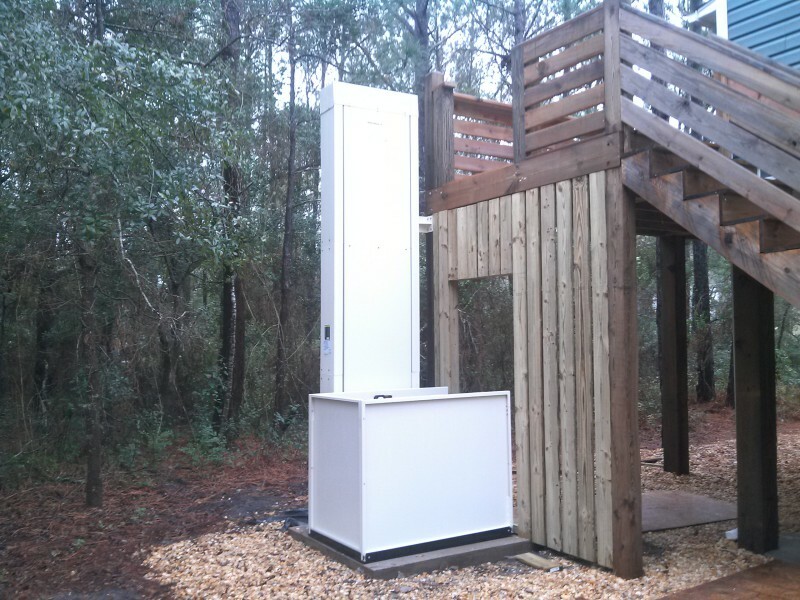 The Leibenroods of N Myrtle Beach has a VPL installed. 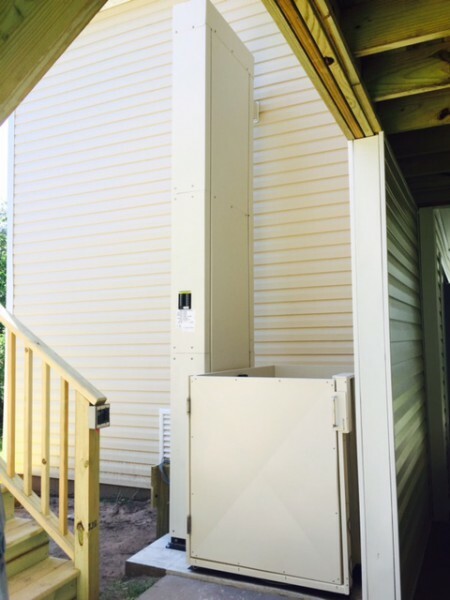 Tatum Construction installed this VPL in a house on Oak Island. 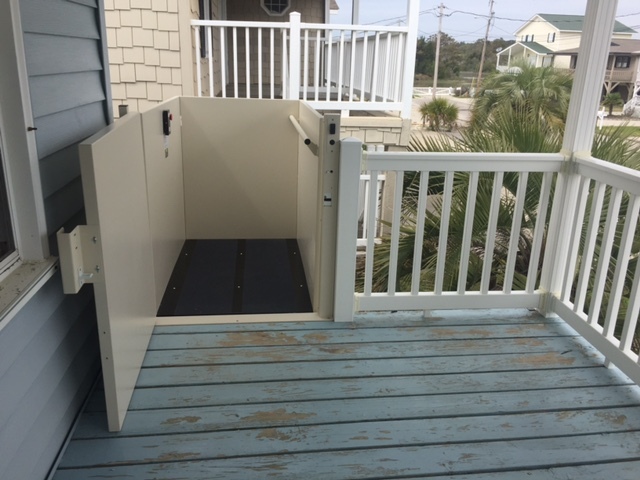 The Schweitzers in Calabash, NC had a VPL installed in their garage for easy entry. 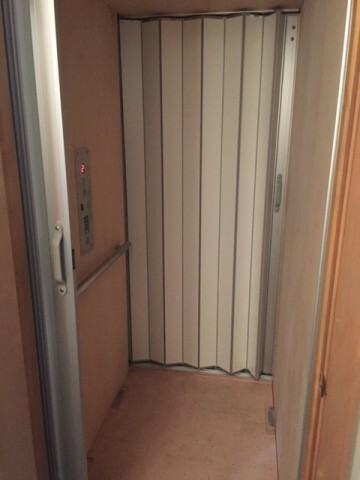 The Pryors of Southport had an elevator installed. 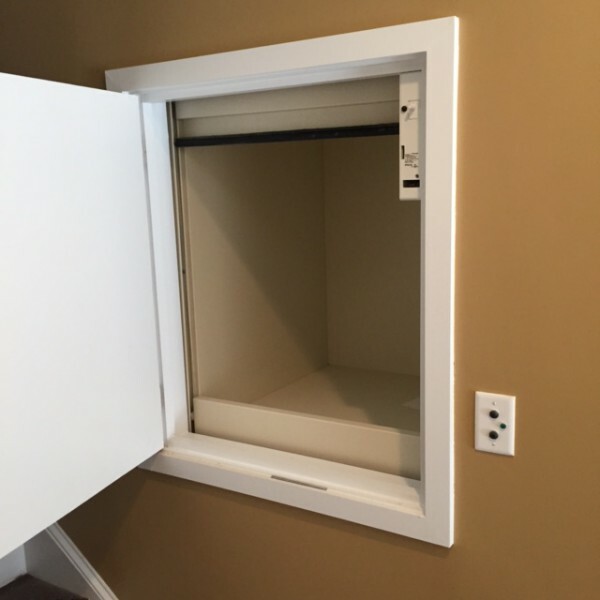 A VPL was great addition to the Wishon house in Oak Island. 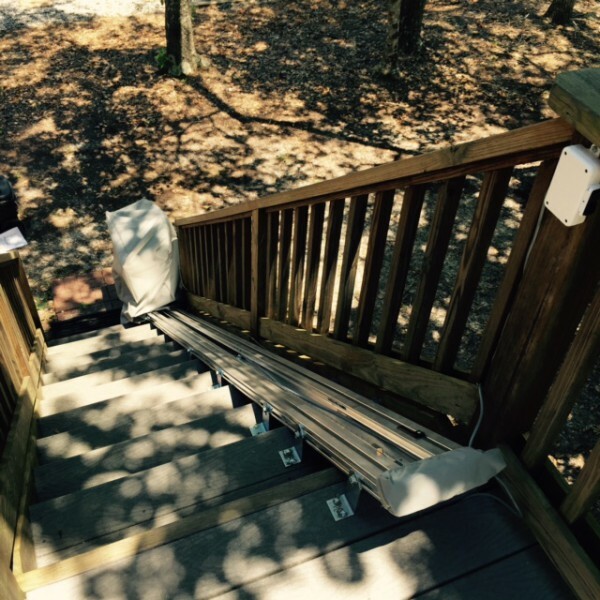 The Hollands had an outdoor Rubex stair lift installed. 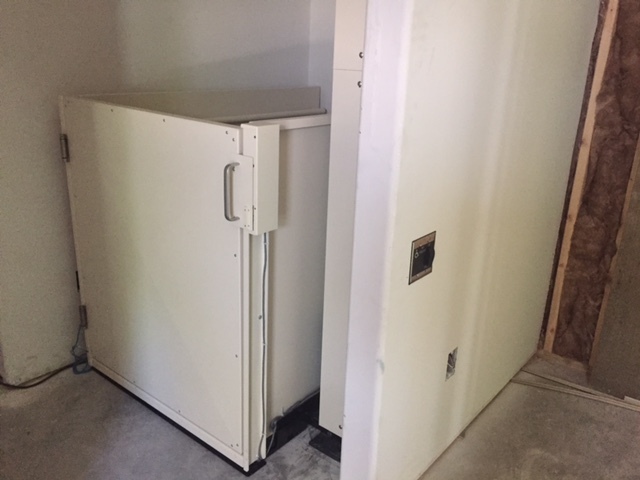 Bethel Baptist Church in Southport had us install a VPL. 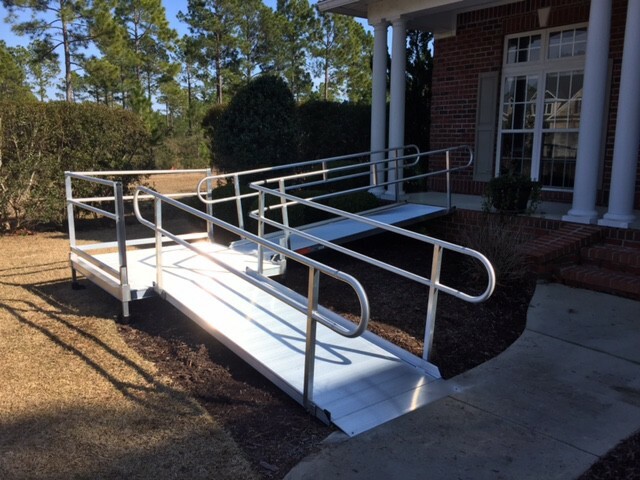 We installed an 18' modular ramp for the Tumultys in St. James, NC. 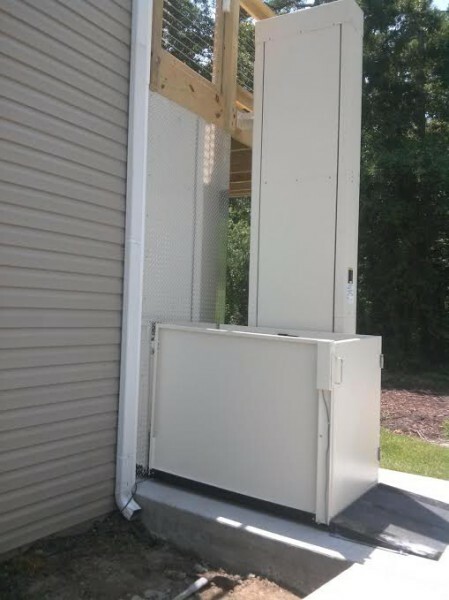 The Dalpes in Leland, NC had a commercial VPL installed. 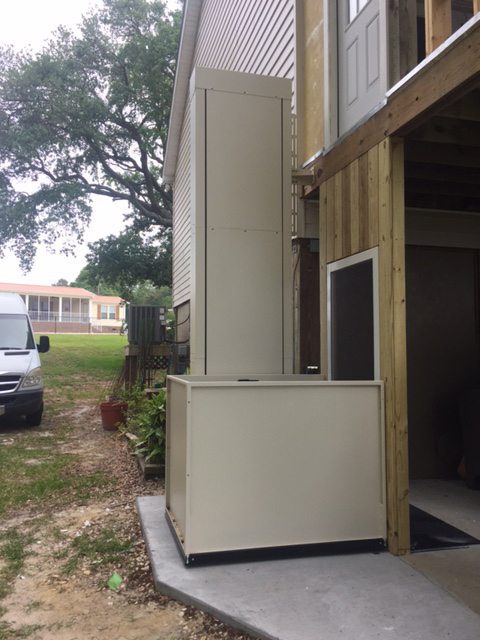 A residential VPL was installed for the Wagoners of Oak Island. 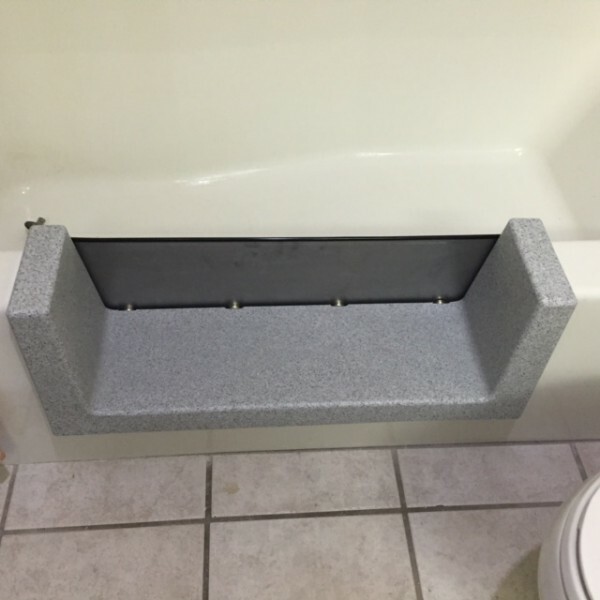 The Flanagans of Myrtle Beach had their tub converted to a safer walk-in version. 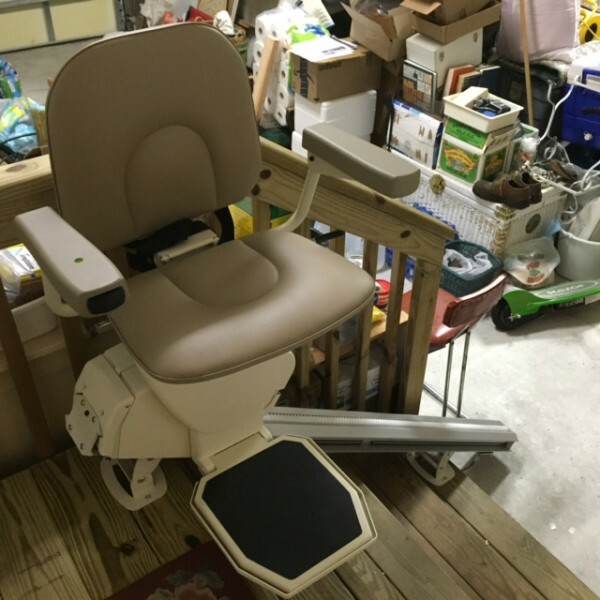 The Leach family of Southport purchased 2 Rave stair lifts. 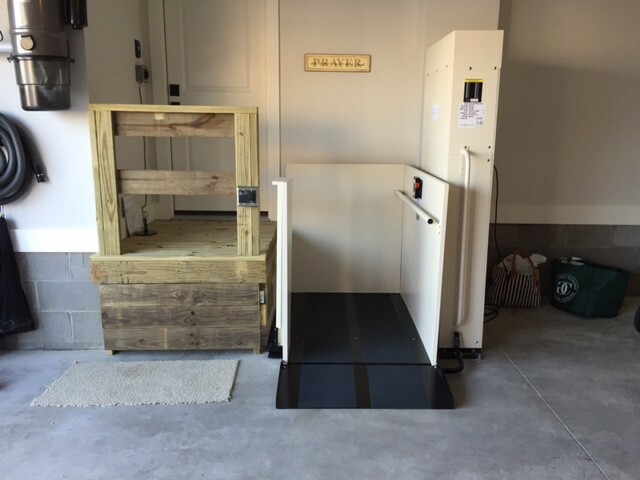 One for their garage and the other for inside their home. 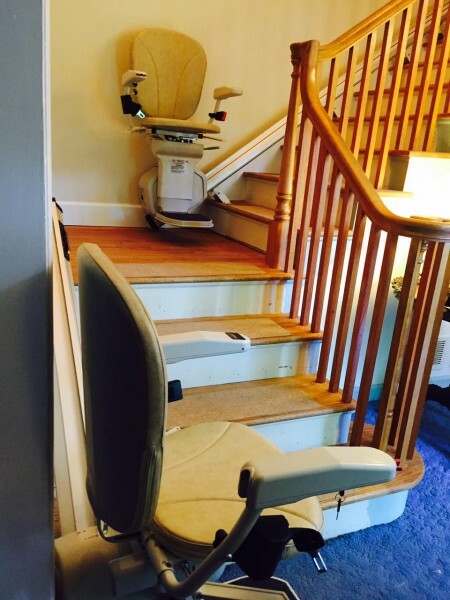 This is the Leach's second stair lift. 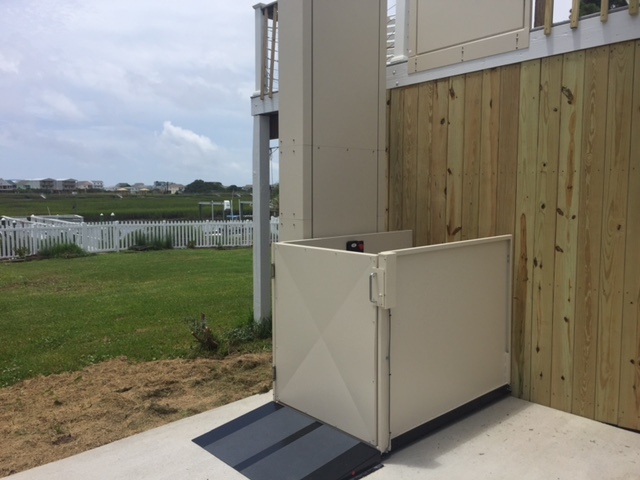 Oak Island's Rodriguez family had a Hercules vertical platform lift installed so they can safely get to the main floor of their beach house. 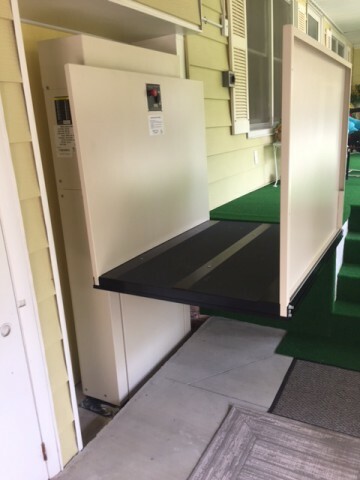 One of the contractor's we work with in Cherry Grove, SC installed our AmeriGlide Express Dumbwaiter in one of his client's home. 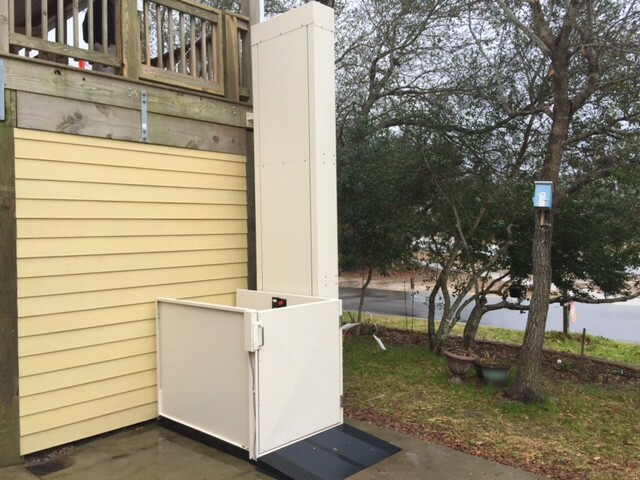 The Fareses of Oak Island can now safely get into their home with a Hercules vertical platform lift. 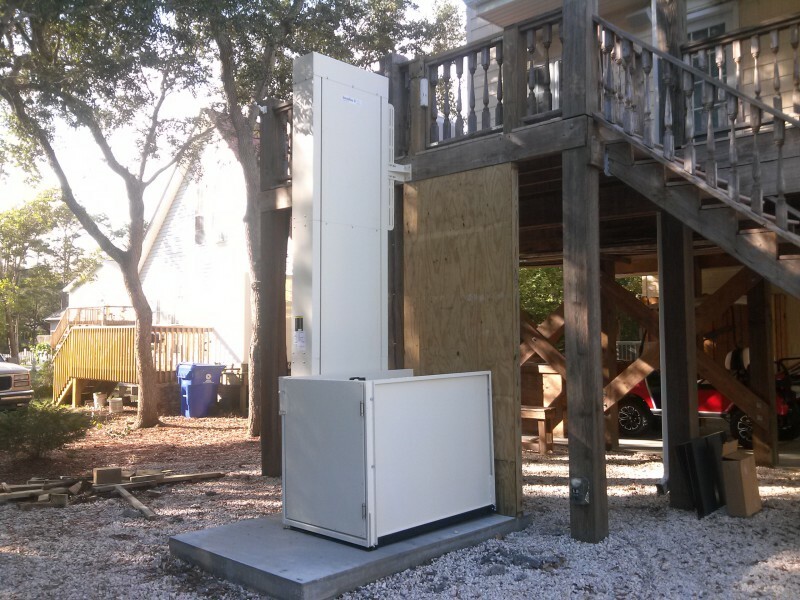 The Frye's in Kure Beach had a Hercules II vertical platform lift installed. 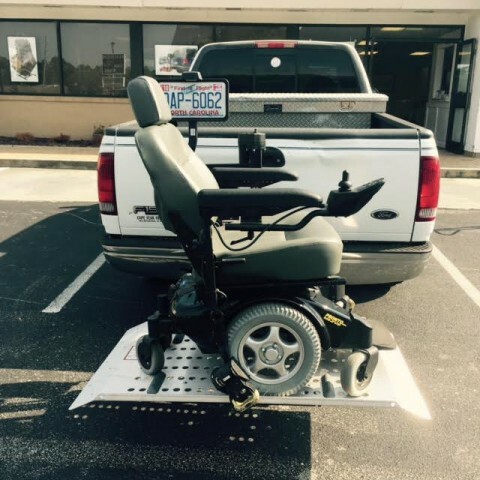 The Outlander vehicle lift looks great on the back of the Sneads of Oak Island's truck. 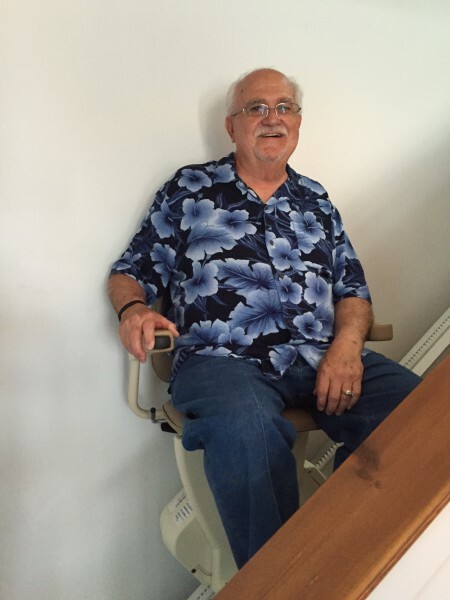 Mr. Dowlin of Oak Island looks happy in his newly installed Rave stair lift. 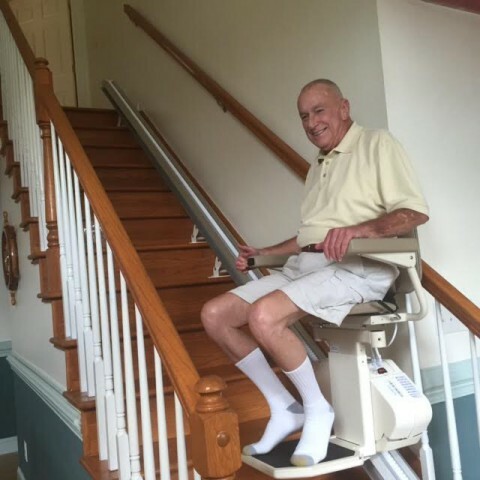 Mr. Dowlin like his Rave so much, he had a Hercules II VPL installed as well. 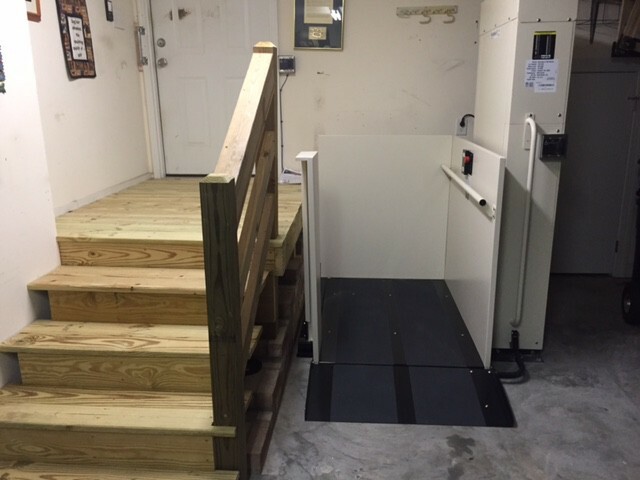 The Dukes in N Myrtle Beach had a Rave Stair Lift installed. 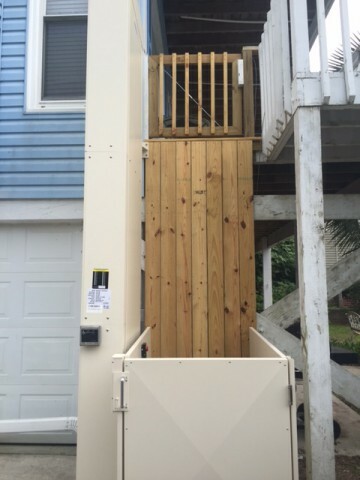 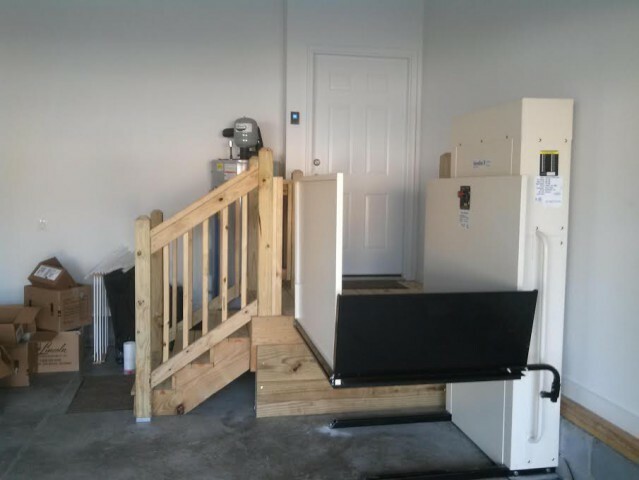 We put in a vertical platform lift and an outdoor stair lift for the Jacobs' in Oak Island. 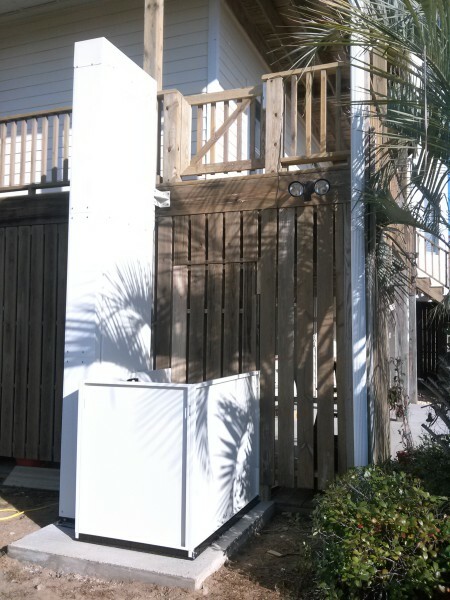 The Simpons in N Myrtle Beach had a vertical platform lift installed. 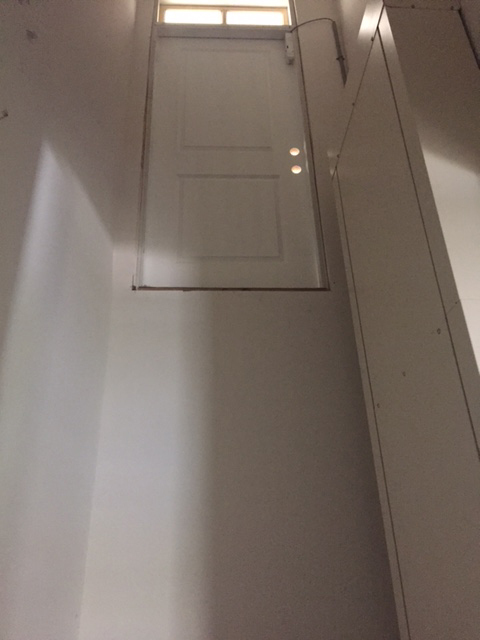 The Andersons in Wilminton had two Horizons installed.